While wine has deep roots in Western culture, China has a rich history of wine production which dates back to millennia before Christ. However, it must be stressed that this tradition is almost exclusively rice wine. The production and mass consumption of grape wine is a recent phenomenon in China. 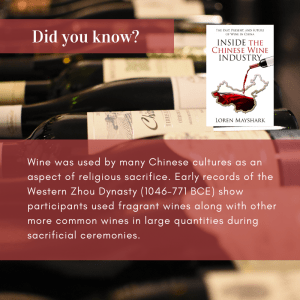 A 2015 poll found that 96 percent of young adults in China select wine as their favored alcoholic beverage.5 This book examines the development of the Chinese wine industry in a historical context and explains how the Chinese grape wine industry has exploded in the last two decades. We will explore the fascination with European Grapes in China and the explosion of the import and consumption of Vitis vinifera (the most important wine-grape species in the world) in China and the historical precedent for that. We will attempt to answer burning questions such as: What changed to make China wine-crazy? How can a tourist enjoy unique wine experiences in China? Why is mass wine production and consumption a modern phenomenon? Why are there not a lot of Chinese wines exported to the United States and Europe? 1 Quoted in George M. Taber, A Toast to Bargain Wines: How Innovators, Iconoclasts, and Winemaking Revolutionaries Are Changing the Way the World Drinks, 1st Scribner ed (New York: Scribner, 2011), 1. 2 Vinexpo Newsroom, “China Is a Leading Wine Market of the Future,” Vinexpo Newsroom – Wine & Spirits News by Vinexpo (blog), April 4, 2017, https://www.vinexpo-newsroom.com/china-is-a-leading-wine-market-of-the-future/. 3 Suzanne Mustacich, Thirsty Dragon: China’s Lust for Bordeaux and the Threat to the World’s Best Wines, First edition (New York: Henry Holt and Company, 2015), 56. 4 “State of the Vitiviniculture World Market” (International Organisation of Wine and Vine (OIV), April 2018), http://www.oiv.int/public/medias/5958/oiv-state-of-the-vitiviniculture-world-market-april-2018.pdf. 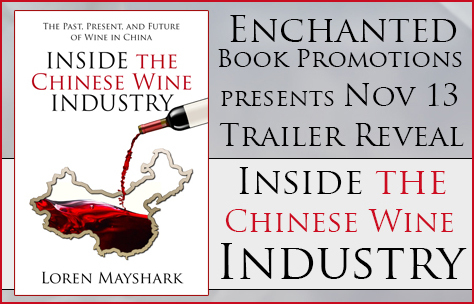 5 Can Akalin and Lawrence Lazar, Wine in China: Insights on a Burgeoning Industry in an e/m Commerce Context, 2 edition, Kindle Edition, (CreateSpace Independent Publishing Platform, 2015), Location 89.